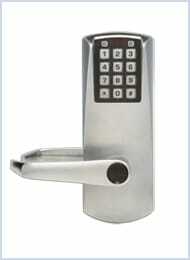 We supply and install a wide range standalone of commercial and domestic grade digital and mechanical locks. 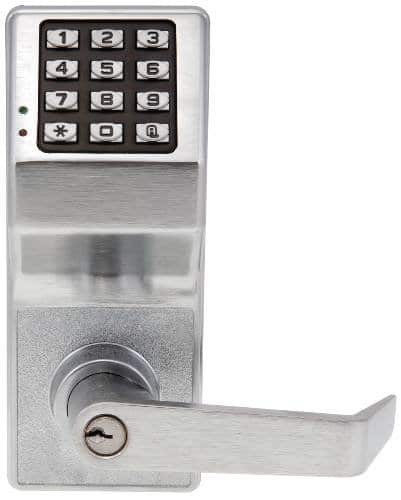 This digital lock is designed to control access into commercial areas, especially when frequent combination changes are needed to maintain security. 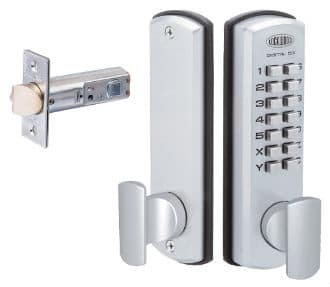 The economical E-Plex 2000 is the perfect entry-level commercial push button lock. 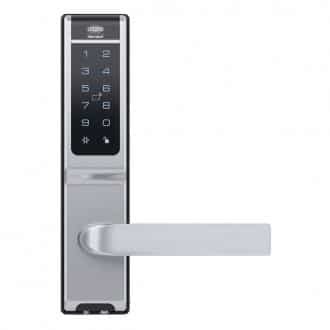 The efficient solution for electronic access control features innovative design, combining the strength, simplicity and reliability of the E-Plex range in a stylish, intuitive pushbutton lock. The stand- alone unit is easily managed with simple keypad programming without using any software or computers. Our E-Flash 680 considers every member of the family, allowing up to 100 individual proximity card registrations. It also allows the entry of a password (pin code), which is ideal for use by visitors or as a backup if a proximity card has been misplaced. The EF 680 comes standard with 4 proximity cards but additional cards are available and affordable. You can also choose a fob accessory, which can be attached to everyday items, such as a school bag or a mobile phone case, making them convenient to carry and hard to lose. The 001 Touch uses the 001 Deadlatch to secure the door internally however, the external cylinder has been replaced with a stylish digital touch screen keypad. 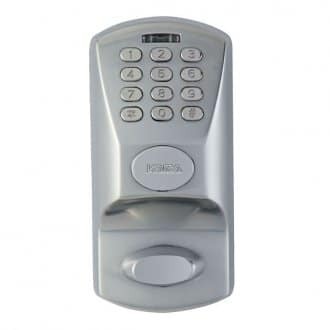 The ability to use a pincode or keycard offers a convenient keyless solution. 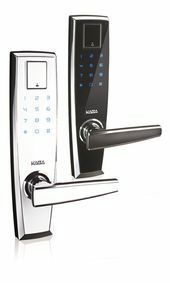 The Nexion electronic keyless lockset represents the next generation of home security. 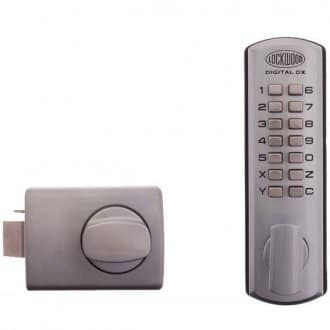 This stylish lockset combines the security of an automatic deadlatch with added safety features, plus the convenience of keyless operation using the Q-key remote control. 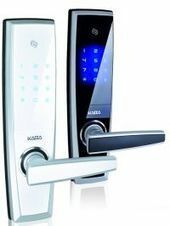 The Nexion Keyless Entry Lockset is battery operated, and emits an audible and visual confirmation of activation by the Q-key remote control. The Q-key has a range of up to three metres and uses the latest in encrypted rolling code technology for the highest security possible. Additional Q-Key remotes can easily be programmed by following the simple sequencing procedure. Should the Q-key remote ever be misplaced, the lockset can be manually operated with a key. Lockwood’s innovative door handle with integrated electronic security, offers simple and effective key-less locking, without compromising aesthetics. 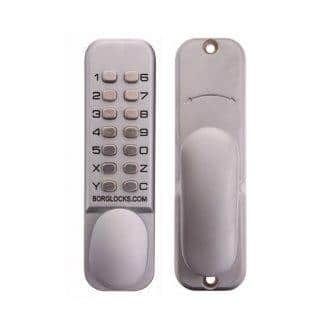 Designed to enable conveniently controlled access to a door with easy installation. The Code Handle provides flexible locking options for doors that need to be always locked or alternatively can be left open to provide free access during the day and locked at night. The Code Handle is ideal for offices, store rooms or a study at home. The Code Handle is recommended for indoor use only. 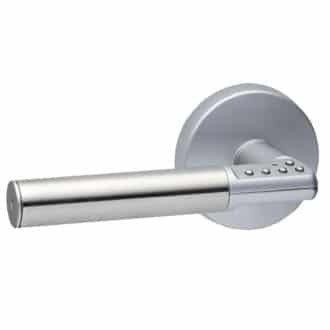 Lever handle with integrated code lock. Program up to 9 User codes, 4-6 digits in length. 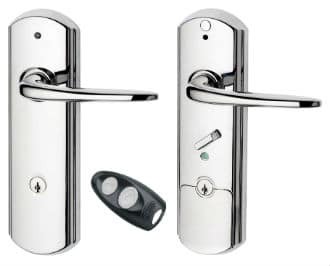 Supplied with Lockwood 530 60 mm latch. Programmable administration code for setting lock operation and user programming. Code lockout after 5 incorrect attempts. Left and right handed versions. Approximately 30,000 operations before batteries replacement. Batteries included (two CR2 batteries). 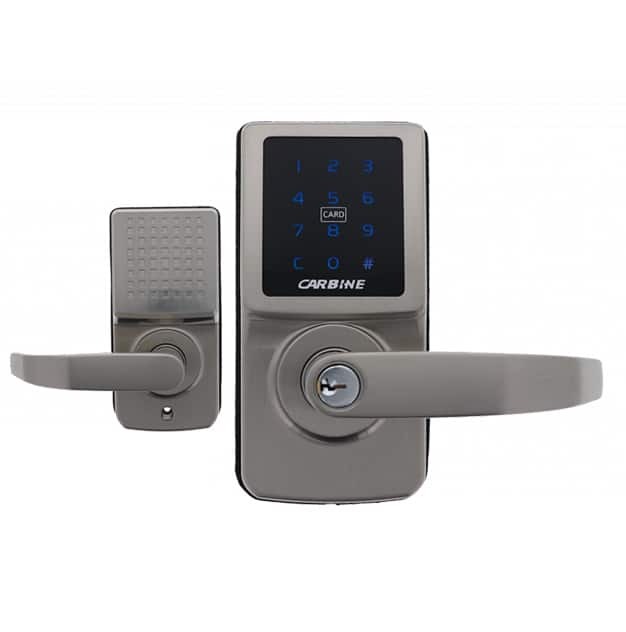 A high quality standalone digital lock that has a key override function. 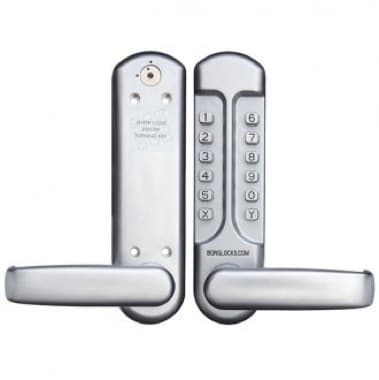 Lockwood 002DX mechanical digital deadlatch. Digital deadlatch for open-in timber frame. 4 to 6 digit code. Bolt hold back function activated by rotating knob past 90 degrees. Key pad finished satin chrome. 002 body finished in satin chrome pearl. Easy Mode or Advance Mode function. Up to 40,000 operations battery life (Card). Add/delete individual users with Master Code. 40 Card users and 20 PIN Code users. Lockset includes 2 Access Cards (can add up to 40). Dual Security Credential requires that two users are present to unlock the door. One user will have PIN Code and the other user will have the Card. Delayed Unlocked State allows the user extra time to open the door – ideal for elderly or disabled. Visitor Code allows a PIN Code to be programmed for a certain date period. One Time PIN is designed to be used once and then automatically expires. Smart Battery Check function; allows users to check the battery level and ignores the false recovery condition of the batteries. This allows the user to accurately determine when a battery replacement is needed. Dual Card format allows compatibility of 90% of the world’s access control systems. If your existing access control uses Mifare or iClass it can be programmed into CORTEX® with no effect to your existing system. Passage Mode allows the users to toggle between standard and passage mode as required. Timed Passage Mode allows users to keep door unlocked or locked for certain parts of the day. Suits door thickness from 35-48 mm. Dimensions 215 (H) x 49 (W) x 32 mm (D). CTX530 can be installed over standard plate furniture and will operate with 3772, 3572 mortice locks. (No Key override). The E-Plex® 1500 provides exterior access by PIN code with the deadbolt being projected and retracted by thumb turn. This small, sleek electronic pushbutton lock easily installs or retrofits existing deadbolts. Locks are powered by three AA batteries that allow for continuous operation of up to 100,000 cycles.